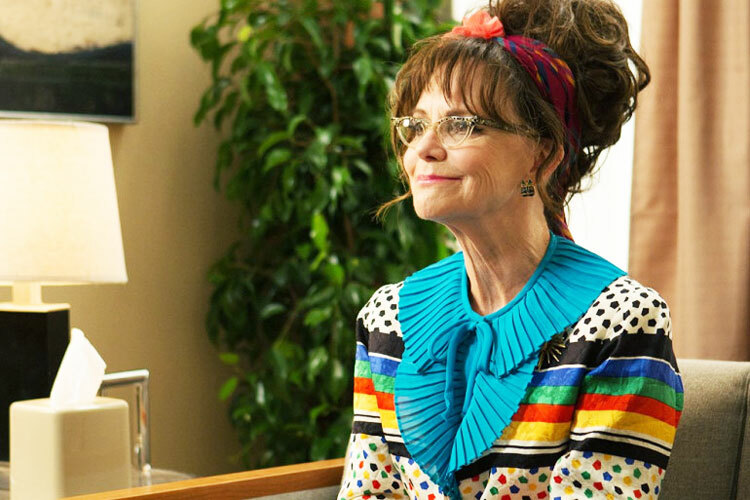 Eclectic eccentricity or off-the-runway Gucci in Hello, My Name is Doris? 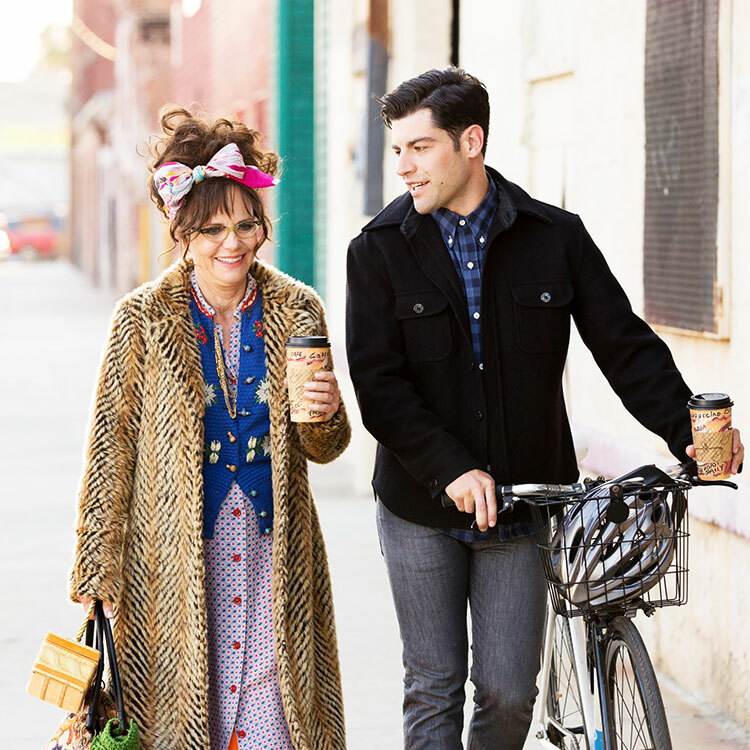 If someone had told me a year ago that Schmidt from New Girl and Mary Todd Lincoln would make a great couple, I would have asked what drugs they were on. After seeing Hello, My Name is Doris this weekend, however, I've got to say that they do make for an unexpectedly charming pair. 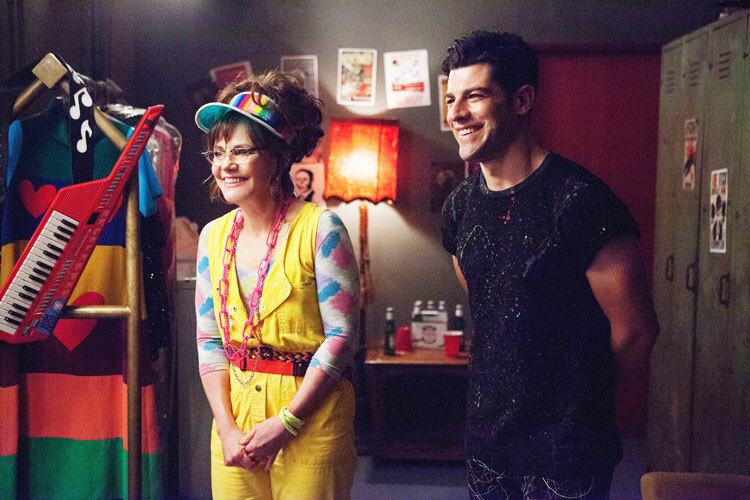 Starring Sally Field and Max Greenfield, Doris is a not-quite romantic dramedy about a sixty-something woman realizing she should probably take a chance on something for once in her life, and that something turns out to be a crush on her much younger coworker, John (Greenfield). It's a cute film that cleverly subverts the typical older man/younger woman cliché, but more than the romantic plot, Doris is the story of a woman who has never really lived—though this is not entirely her own fault—and her desire to feel alive and be part of something. It's quite empowering. Being a quirky older woman with a hoarding problem, Doris naturally has a very eccentric wardrobe. She works at a hip fashion company (as their accountant) but was grandfathered in from a time when the brand was not very trendy, and yet she discovers that to a particular set of young Brooklynites, her flair for mixing and matching and her ever-present cat eye glasses are actually quite cool. She gets pulled backstage at a concert due to her neon jumpsuit, and young hipsters marvel at her handknit sweaters. Friends of her own age scoff at Doris's ridiculous ensembles, but they don't realize that Doris's quirky grandmother style is en vogue amongst the young style set. Just look at Gucci, a brand that has made dressing like a modern-day Edie Beale the thing to do. Delpozo, Dries Van Noten, and Rochas are also responsible for the returning coolness of eccentric maximalism. With her colorful headscarves, ruffles, and collection of brooches, Doris Miller may be the perfect film representation of the style we are all trying to achieve. What do you think of Doris's fashion sense? Girlfriend has PIZAZZ! Haha. :) Leave it to Sally! Really nice and fun post dear! love it! Great post. I think it suits her (Doris) it's fun, it makes me wish to look always at the bright side of life, if you know what I mean. Anyway, happy Friday, doll. Love the head scarves and that coat! 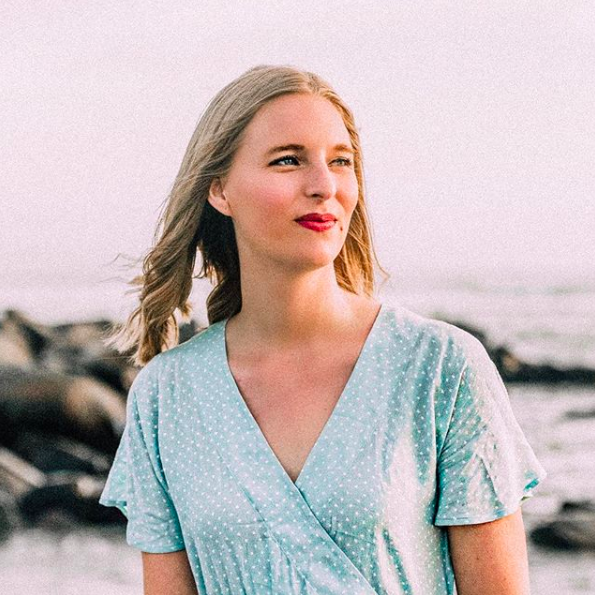 She looks so inspirational. Happy. Quirky. Indeed a style icon. She's absolutely adorable! Loved this post!